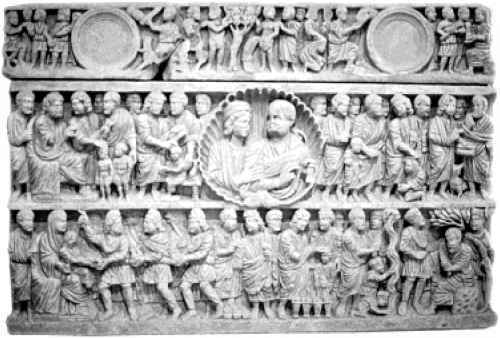 Most medieval church historians agree that the sale of indulgences by the Catholic Church played a prominent role in encouraging competitive entry by competing religions. Indeed, the proximate cause of Martin Luther's successful challenge of prevailing authority is almost universally held to be the Catholic Church's record of abuses involving indulgences. In a somewhat wider view, we assert that part of the explanation for the rise, and ultimate success, of Protestantism was the attempt by the Catholic Church to extract rents associated with manifold doctrinal innovations, among them the interwoven doctrines of purgatory, penance, and indulgences. As with any monopoly, the aim of the medieval church was to eliminate competition. It used various methods to accomplish this objective, including political and social pressures against unorthodox dissenters (i.e., heretics) within its ranks, as well as against rival sects, such as Judaism and Islam. It also denounced magic and superstition, which had been practiced from early pre-Christian times. The medieval church devised various means to deal with internal and external threats to its market dominance, such as excommunication, crusades, and inquisitions. But since it was always the prerogative of individuals to self-select among formal and informal belief systems, the Roman Catholic Church had to maintain the quality of its product in order to prevent slippage, and in the face of potential competition it was required to price its services so as to attract new customers. When quality deterioration resulted in a higher full price for its product, the papacy took steps to retain, attract, or regain members. It met some heretics on their own grounds. For example, when internal heresies protested the medieval church's policies of wealth aggrandizement in the face of grinding poverty of the masses, the church responded by forming mendicant orders, such as the Dominicans and Franciscans, which specialized in ministry to the poor. In another example of policy accommodation, the church reduced relative prices for certain services provided to members of the English Church, which had always been more independent of Rome than its European counterparts. Demand and supply of Z-good that by his death, Jesus bestowed the opportunity of redemption on all. Nevertheless, the actual achievement of redemption required conscious choices by the faithful. In effect, the choice offered to its members by the medieval church became continuous. Paradoxically, the doctrinal inventions referred to above initially lowered the price of sin (making them inconsistent with a public interest theory of church behavior), but they also created ever-expanding opportunities for rent extraction by raising the costs of redemption to church members. In its role as gatekeeper of heaven, the medieval church engaged in activities akin to those that take place in a system of criminal justice. Although crime and sin are not the same, deterrence can be used against them similarly. 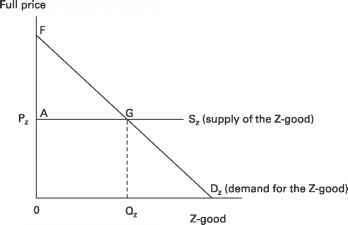 Figure 5.1 depicts the demand for the Z-good religious services (Dz). It is negatively sloped and reflects the maximum demand price believers would be willing to pay for forgiveness. The invention of purgatory, the distinction between venial and mortal sins, and other innovations employed by the medieval church gave form to the demand function Dz. In contrast, the supply curve of forgiveness was dependent on the church's long-run costs of providing a belief structure. This included the costs of formulating doctrine, providing liturgy, establishing enforcement mechanisms in downstream church "firms" (e.g., confession), administering the sacraments, collecting relics, and so on. An equilibrium price of forgiveness, such as Pz, is consistent with this market view. As in the case of the suppression of crime, some optimum may be reached,4 such as Qz in figure 5.1. For various reasons we do not believe that optimal deterrence was a major goal of the medieval church. Optimal deterrence means that punishment is levied in proportion to the severity of the crime or, in this case, sin. The instances of price discrimination described by the great ecclesiastical historian William E. Lunt suggest that the overriding goal of the medieval church was infra-marginal rent extraction, and that optimal deterrence—while perhaps a secondary goal—was subservient to the primary goal of rent extraction. While these two goals are not mutually exclusive, it should be noted that if the church achieved optimal deterrence, it would thereby undermine its revenue base from potential rents. Historical evidence suggests that the medieval church stood in the position of a nearly perfectly discriminating monopoly. The goal was to put all sinners on their demand curve for sin and forgiveness, thereby creating a situation in which maximum monopoly rents (in the amount of AFG in figure 5.1) could be collected. Optimal deterrence would have required the medieval church to set different prices for different sins, which, in fact, it did not do (see table 5.1 and the ensuing discussion). Instead, the church set different prices for different customers, based on their income. We hypothesize that overzealous price discrimination—fostered by ongoing doctrinal manipulations—led to the Protestant Reformation and the institution of a less costly pricing scheme, as well as the introduction of less restrictive conditions for salvation. At the same time, certain supply-side considerations allowed the Roman Catholic Church to maintain its power in some markets. In some instances the implementation of price discriminatory schemes by the medieval church may have been accompanied by deterioration of church services. Of course this issue of reduced quality turns critically on how quality is defined. If "underprovision" of services means that the needs of the poor were neglected, we have found little evidence that this was the case. Historian Bronislaw Geremek distinguishes between "spiritual poverty,'' and "involuntary poverty. ''5 The former is practiced by monks and hermits on a voluntary basis, whereas the latter is a result of inadequate resource endowments or economic inefficiency. The church always viewed the involuntary poor as objects of special charitable treatment (though malingerers and those who would not work were denounced by church and civil government alike). In medieval society, the deserving poor were cared for by both the church and the wealthy. Typically a third of the Roman Catholic Church's total "take" was given to the poor. But to a certain extent poverty and wealth were complementary in medieval society.6 The poor in effect helped save the wealthy when the latter supported the former as an act of repentance for sins. Thus a sizable redistribution was sponsored by church doctrines and regulations, and the wealthy, in turn, supported church and papal interests. The poor thus provided a rationale for the existence of wealth. This, however, does not mean that the church underprovided services. Gere-mek notes that the models for the later provisions of social services were provided by Catholic charities. In the twelfth and thirteenth centuries, for example, hospitals and hospices were founded and administered by the church in France.7 Further, while urbanization created an upsurge in poverty in the sixteenth and later centuries in Europe, a good deal of modern research shows that the medieval church actually provided important models for later Protestant innovations in the urban structuring of charitable and social services. Historian Brian S. Pullan shows that church activities in fourteenth and fifteenth century Renaissance Venice provided such a model.8 Diminished quality provisions, though certainly possible and perhaps even expected in a monopoly without tradable shares or other forms of market discipline, might have the effect of pushing some individuals beyond their demand curves and possibly encouraging earlier entry into the market. It is recognized that quality diminution may take a number of forms, including personal and church aggrandizement, weak attempts to stimulate fervor and devotion among the faithful, or less liberal hospitality.9 Further study will be required to identify such causes of increase in the full price of religion during the Middle Ages.